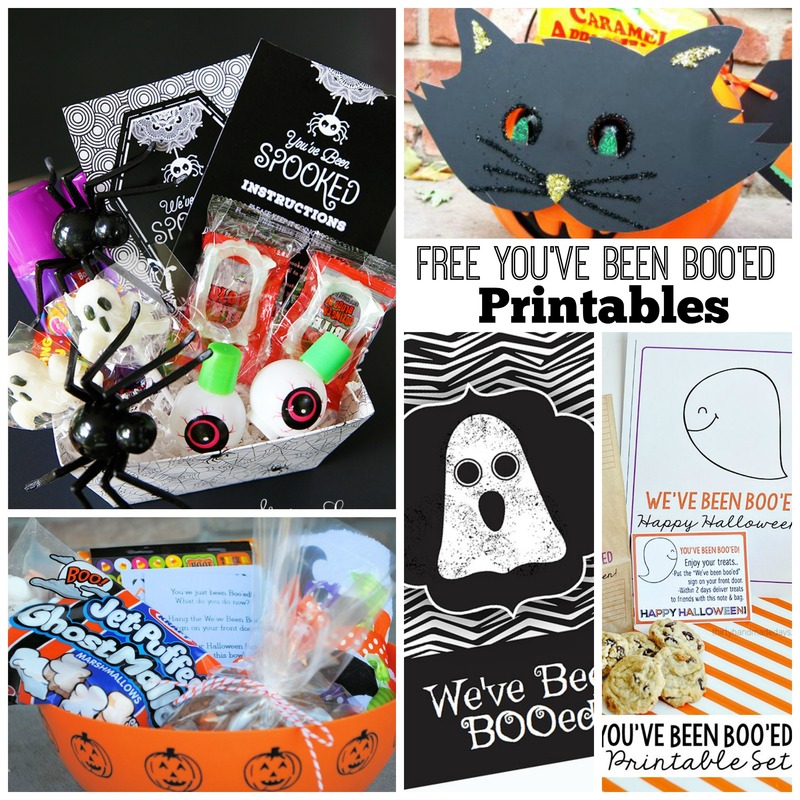 We have found all the best You’ve Been Booed free printables. 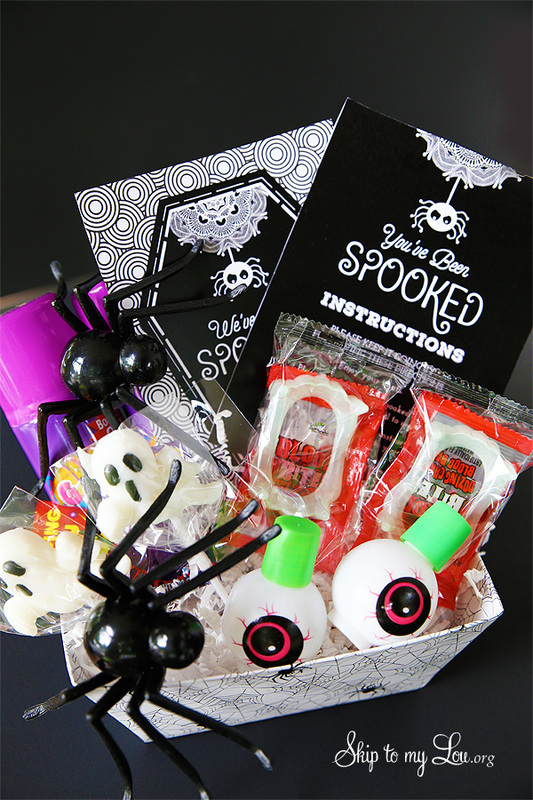 If you are looking to start the boo in your neighborhood this year, you have come to the right place! 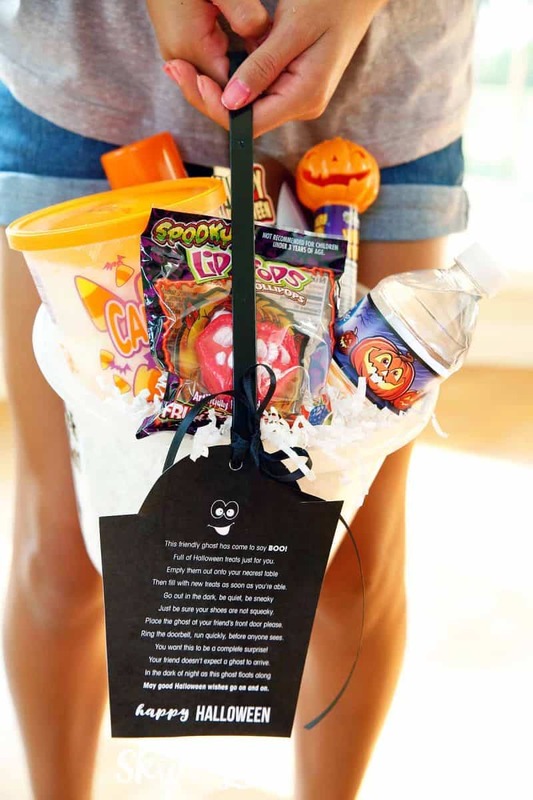 You’ve been booed is the friendly tradition where you secretly leave a gift basket of goodies on your friend’s porch. Your friend is supposed to then boo their friends. 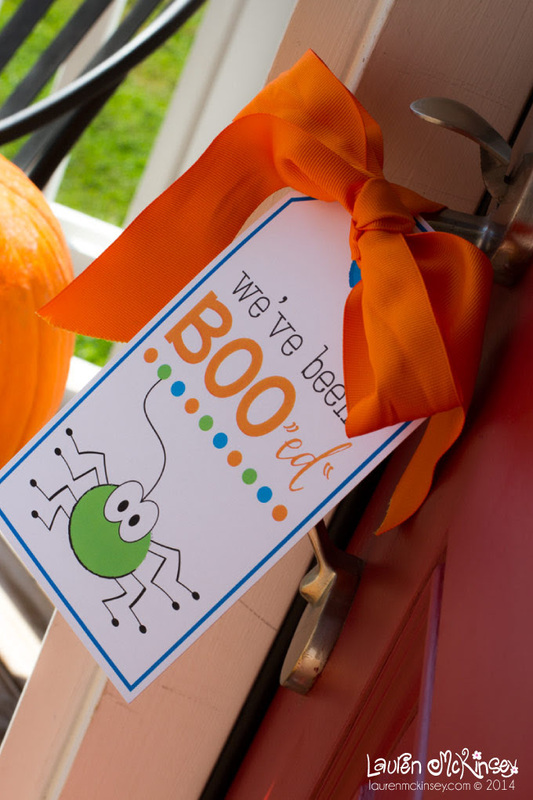 The Booed gift starts a chain reaction of delivering goodies and wishing everyone a Happy Halloween. 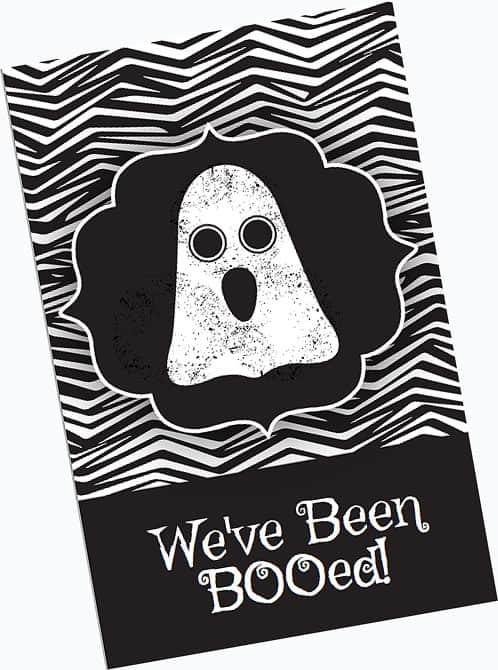 Instead of You’ve Been Booed sometimes you might see it called You’ve Been Spooked,” The black and white signs are perfecting for making spooktacular memories with your kids and neighbors! This is probably one of my most favorite ideas. Is it a cat or a jack all dressed up to wish you a Happy Halloween? 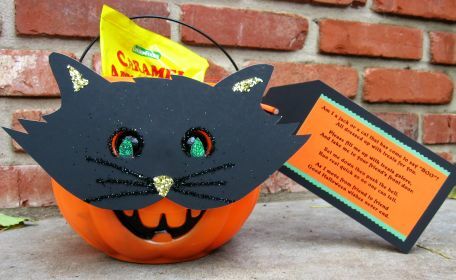 Print off a free cat mask to attach to a plastic pumpkin for this boo treat! We like to make it easy to boo! 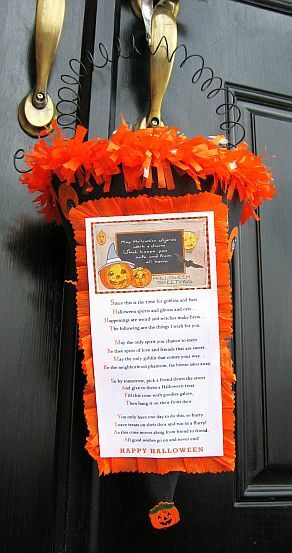 Just print of this door hanger, fold in half, punch a hole at the top for the doorknob. Secretly hang on your friend’s door and leave some goodies on their doorstep. Click the link to print! This idea keeps friends from having to make copies. Just fill a container with treats, instruct your friend to keep the treats and refill the container and pass it along to another friend! Fun! 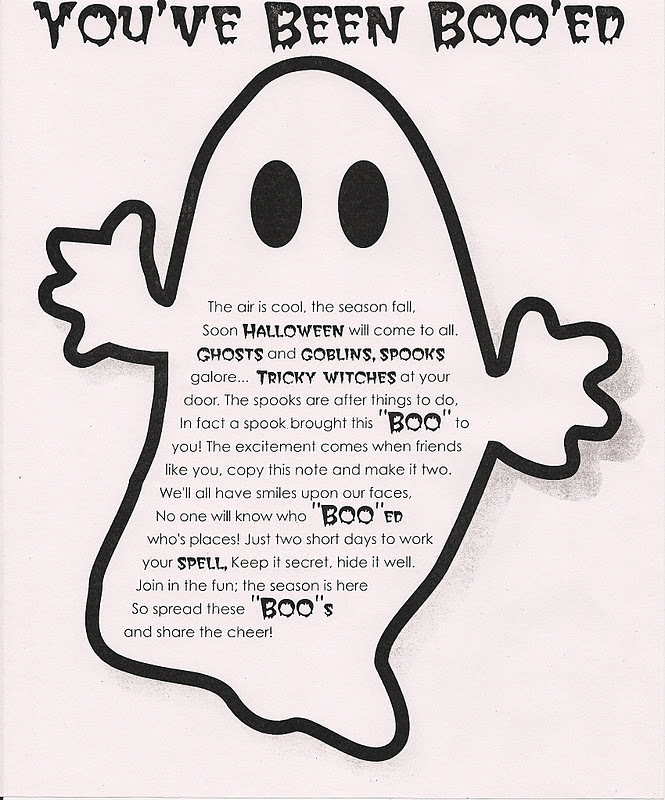 These boo instructions just needed to be printed for an easy way to boo! 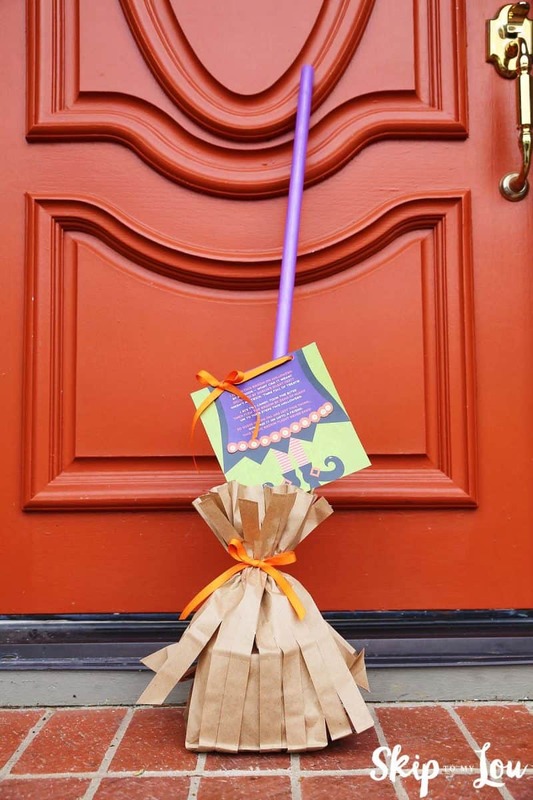 We love thinking up new ways to spread holiday cheer and this Magic Broom is a unique way to make some fun! 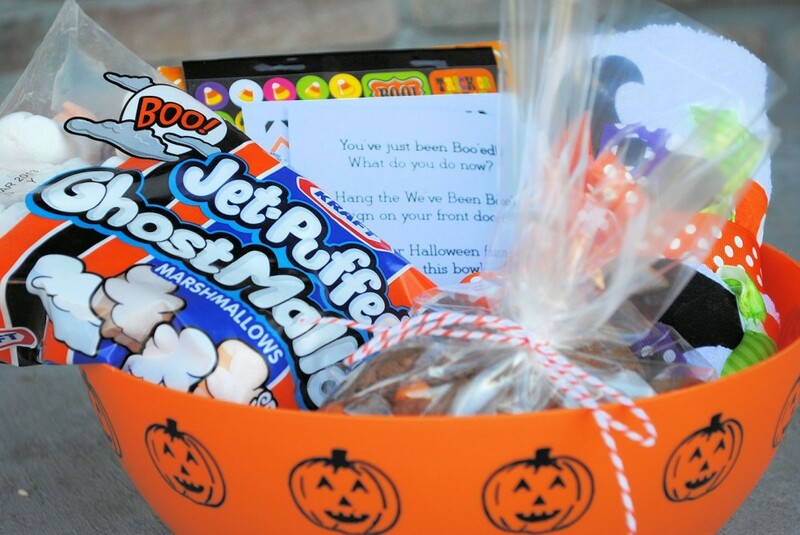 Sneaking across your friend’s yard to deliver treats is a great way to make family memories! It is for sure one of our most loved traditions. Here is yet another version of you’ve been booed. Do you like to sew? This is a fun little project. 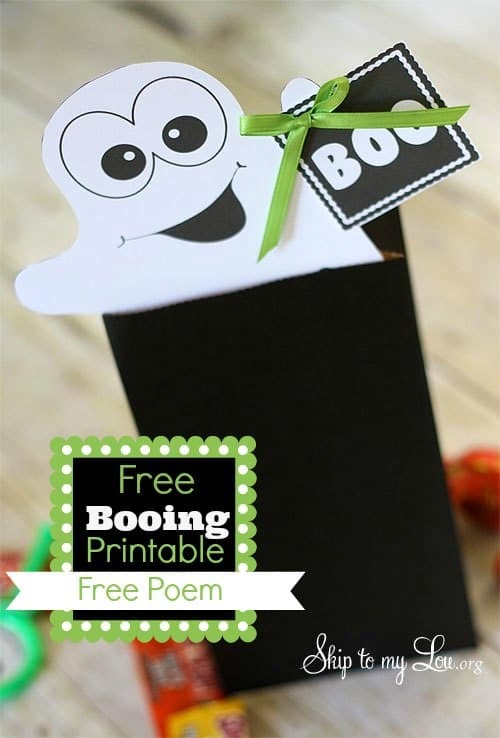 Print the poem and ghost on fabric then sew into a little bag. 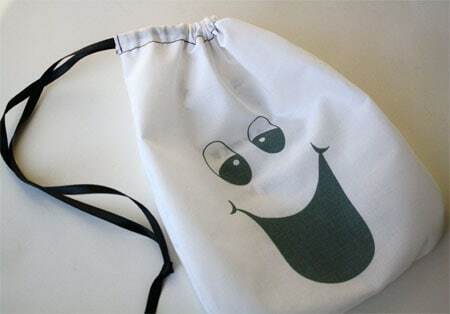 Friends can just keep refilling the ghost bag as it travels from house to house. 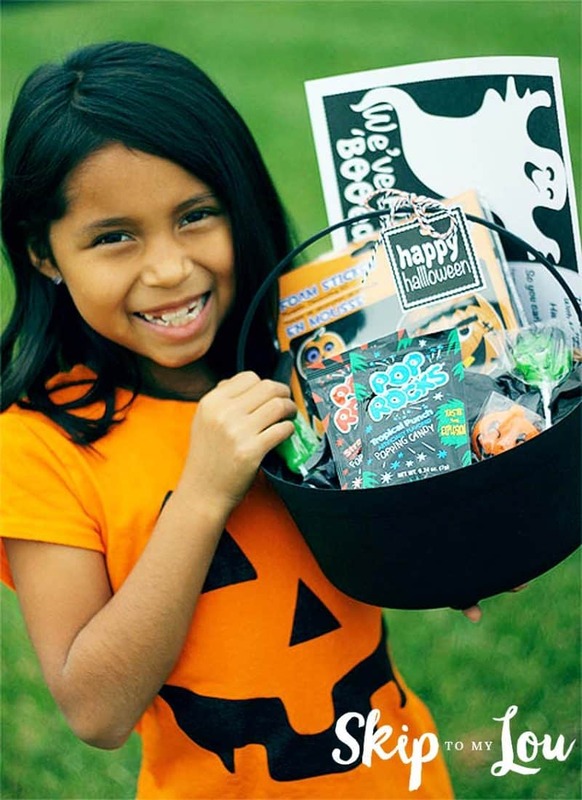 Turn a bucket into a ghost with black paper and fill with Halloween treats for a BOO bucket! Check out these fun ideas from around the web. Booing our neighbors is one of our favorites things to do! 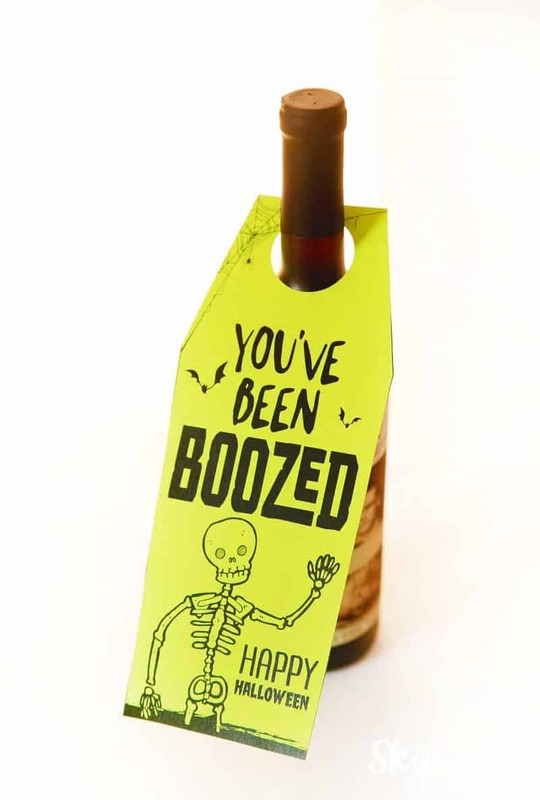 It is a fun Halloween tradition and your neighbors will love their booed gift! 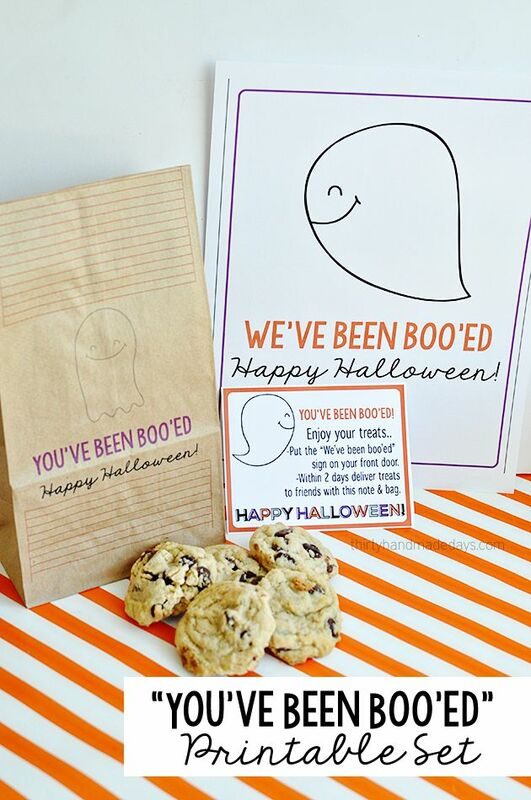 These You’ve Been Booed Printables make it easy and fun! 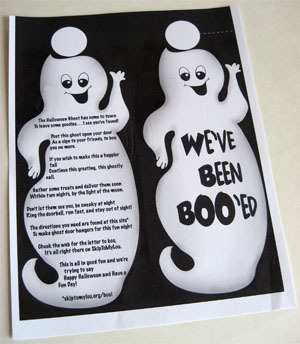 Print off one of these You’ve Been Booed ideas and let the booing begin! Thank you-have downloaded/pinned several of these! I can't get the craft to pull up for Made to be a Momma for the spider-can you check into this? Nor the boo bucket-I've tried searching their websites but neither will show up in a search.